131 ACRES mostly wooded with ponds, gently rolling hills, an airstrip, and a newer 3200 fin.sq.ft. walkout rambler - would be a great hunting lodge. Close enough to commute yet VERY private! Not on the MLS - call Gwenn Baker 612-741-0153 for additional info. 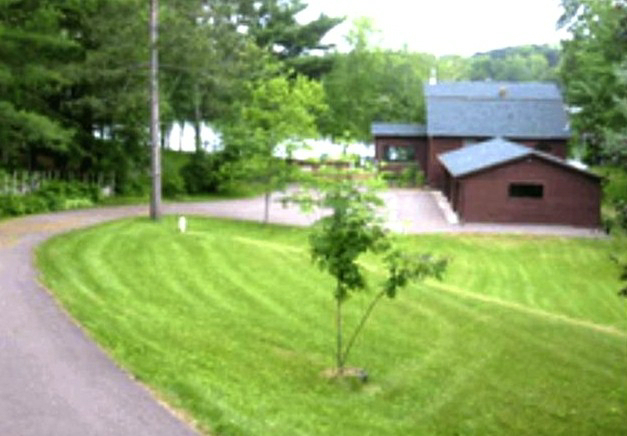 100' ft of PRIME FRONTAGE on BONE LAKE and a level lot and sandy swimming. Year round in excellent condition. One-level living with LOTS of updates, roof, furnace, kitchen, windows, and AMAZING SUNSETS. 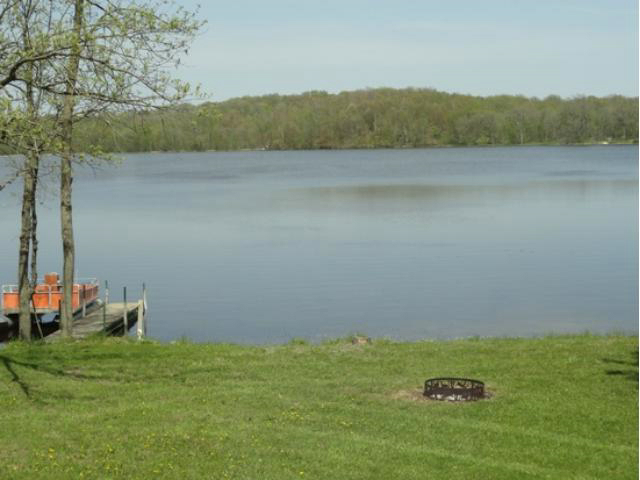 Bone Lake is 1667 Ac fully recreational with great fishing. There is also a bar and grill on the lake that you can just boat up to. This is a great property and won't last long at this price. 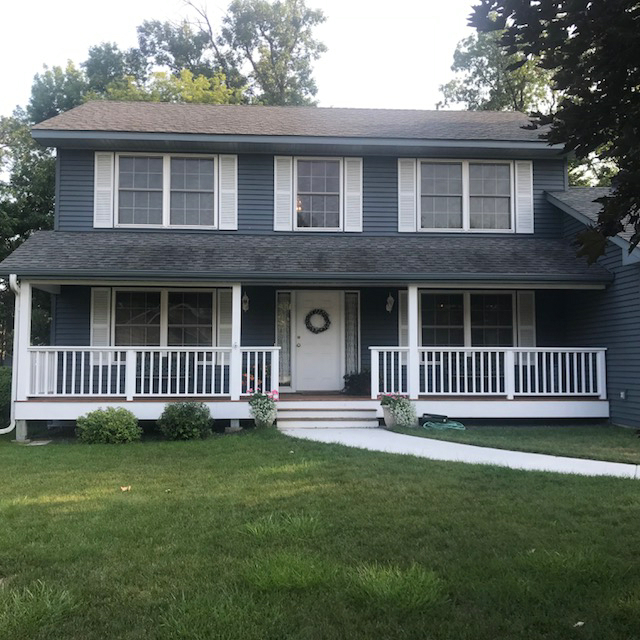 Have you always dreamed of a two story with a front porch, a fireplace, and a deck overlooking a large backyard - well this has all that and more. Located within biking distance of the high school where you can enjoy watching the fall football games. There are 3 brs on one level, 3 baths, and a main floor laundry. Furnace, Air Cond, Sidewalk & Driveway were redone in 2017. 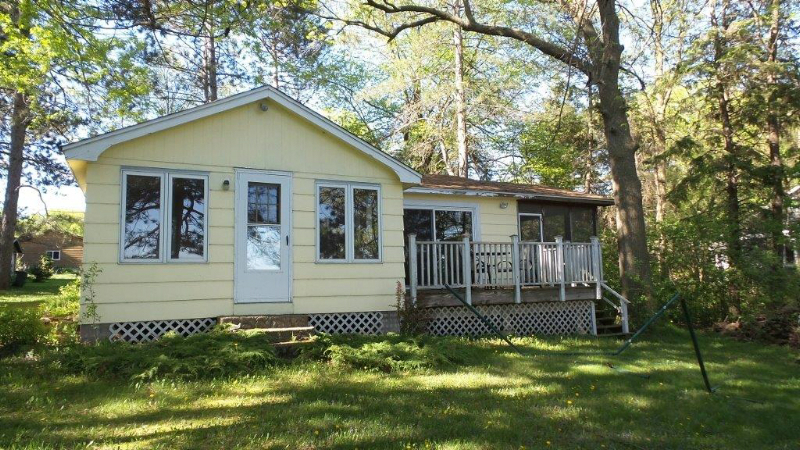 Whether relaxing on your deck or sitting by a campfire in the backyard, you'll love this property! 121' and 1 ACRE ON PREMIER DEER LAKE. Stunning lake home with 4 bedrooms and 5 baths. Each BR is like a suite with it's own bath. The oversized garage has plenty of space for 4X4's and other toys. This is a great property for entertaining with the open plan. Only a little over an hour to Mpls - commute or just run up for an afternoon. 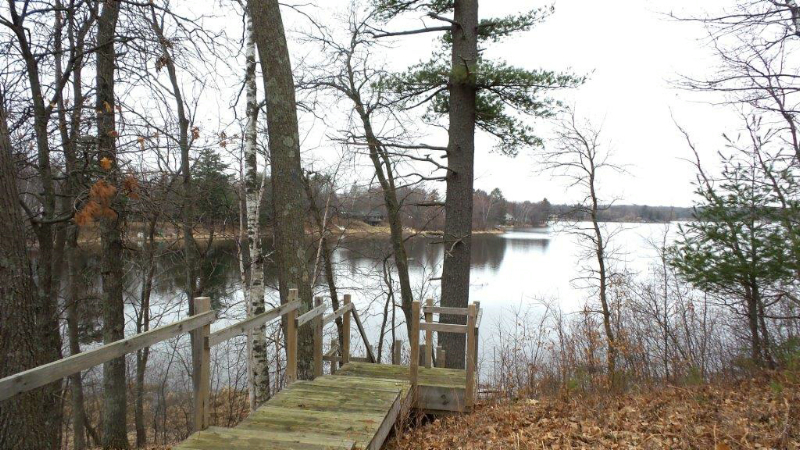 100' LOT ON PREMIER DEER LAKE with gradual slope to the lake. Has an older 2 car garage where you can store some things while you build. There is also a 2br septic system on the property and a septic installer said it can be added on to. Open Builder. 125' on PREMIER DEER LAKE. Adorable knotty pine cabin. Remodeled with a huge screen porch and a 25 X 55 ft deck. 3rd br has French doors to the deck, is non-conf and delightful. Roof, furnace & stove new in 2017, freshly painted, detached garage w/summer toilet & washer/dryer. Large fire pit area for those evening campfires. This is a very inexpensive way to get on the lake. 2 bedroom, 2 bath, FP, and more. 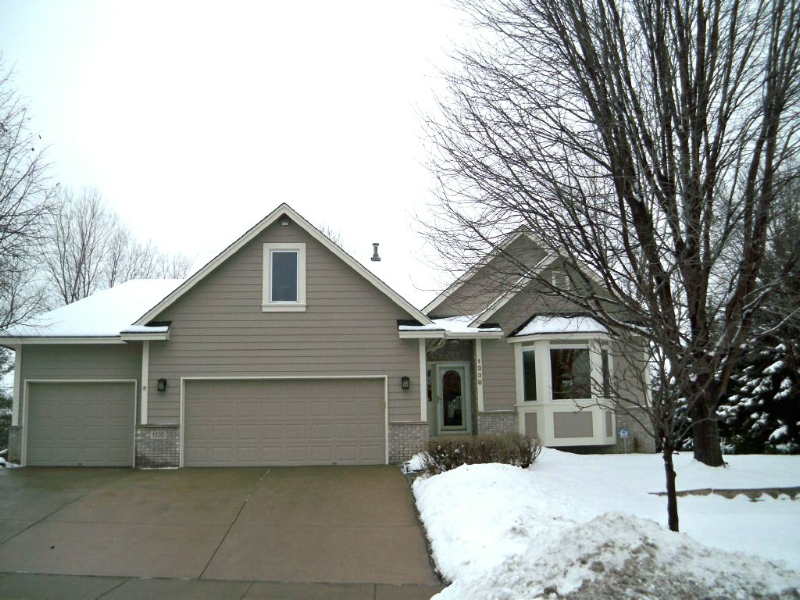 Beautiful TOWNHOME in Eden Prairie. Walking distance to lakes and parks, close to shopping and restaurants. Very conveniently located just near access to Hwy 212. 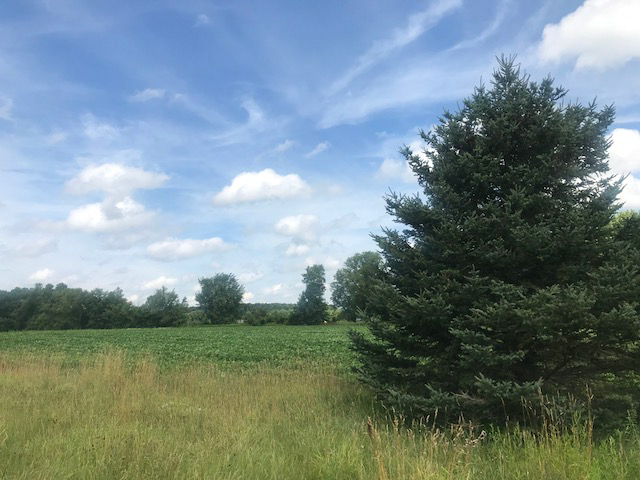 29.15 ACRES in a beautiful area just NW of Somerset, WI. 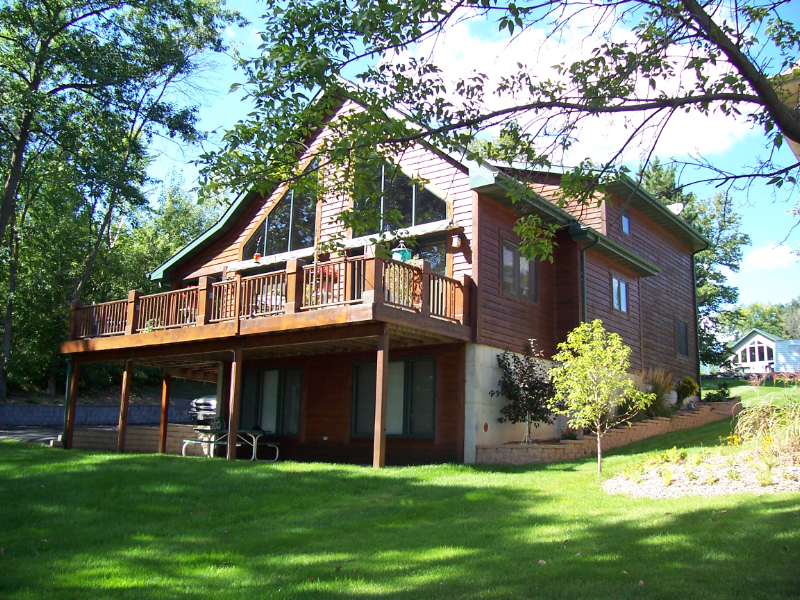 there are rolling hills, a lake nearby, and close to the St. Croix River. Open builder and easy commuting distance. 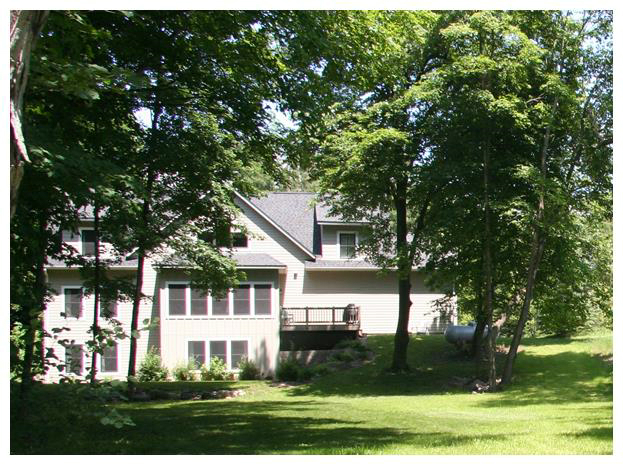 Located on the Rustic Road and you are walking distance to the public access on the St Croix River. Build your dream home or hobby farm here! 78' on WHITE ASH LAKE with a .81 acre lot. This is a great deal! 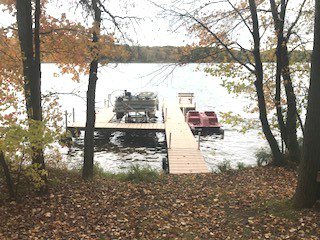 Price includes most furnishings, huge newer dock with deck, a tram to the lake that works great, pontoon and motor, paddleboat, lawn mower, 3 car detached garage has lots of room for 4x4's and other toys - IT'S TURNKEY !! There are covenants to protect your investment. If you are into horses, the beautiful horse ranch at the end of the road does horse boarding. 100' ON PREMIER DEER LAKE. Stunning lake home on dead end road. All the bells & whistles that make today's lake home an exceptional retreat. 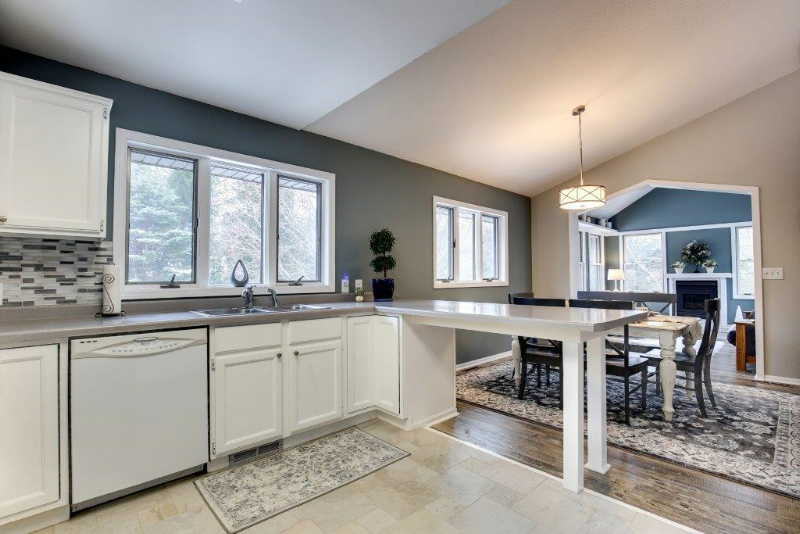 Recently remodeled, the kitchen is absolutely fabulous! 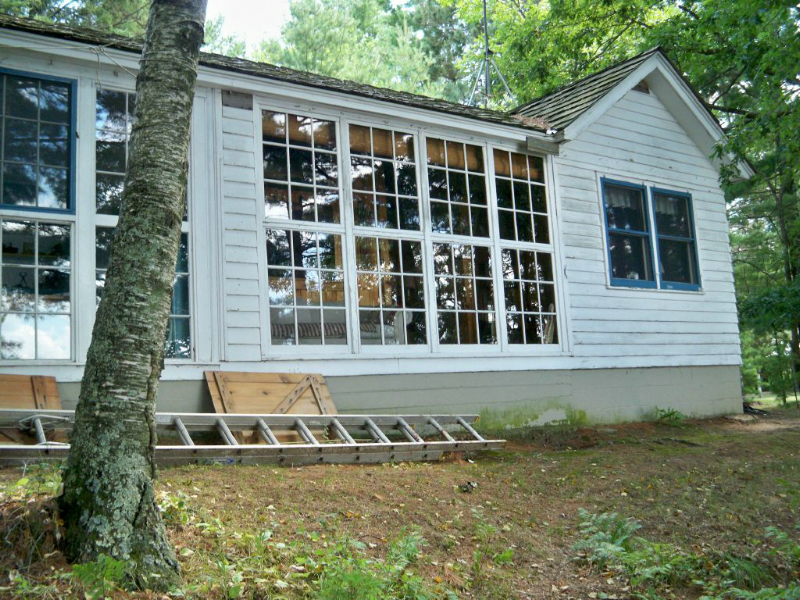 You will find yourself constantly using the large lakeside screen porch. Finished walkout LL fam.rm and 2nd kitchen which is great for entertaining. 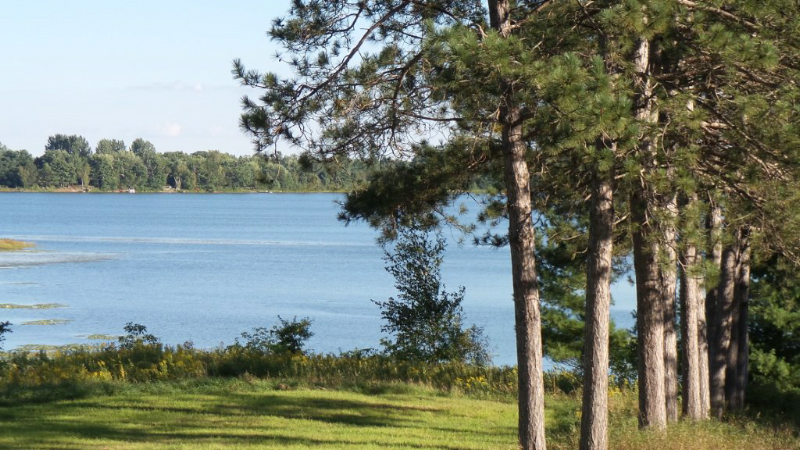 .78 ACRE LOT ON PREMIER DEER LAKE with over 200' frontage. All very private at the end of a dead end road. This gorgeous newer home has a very open plan with lots of windows, two fireplaces, great room and owners suite. Hi end stainless appliances, and a huge yard for entertaining. 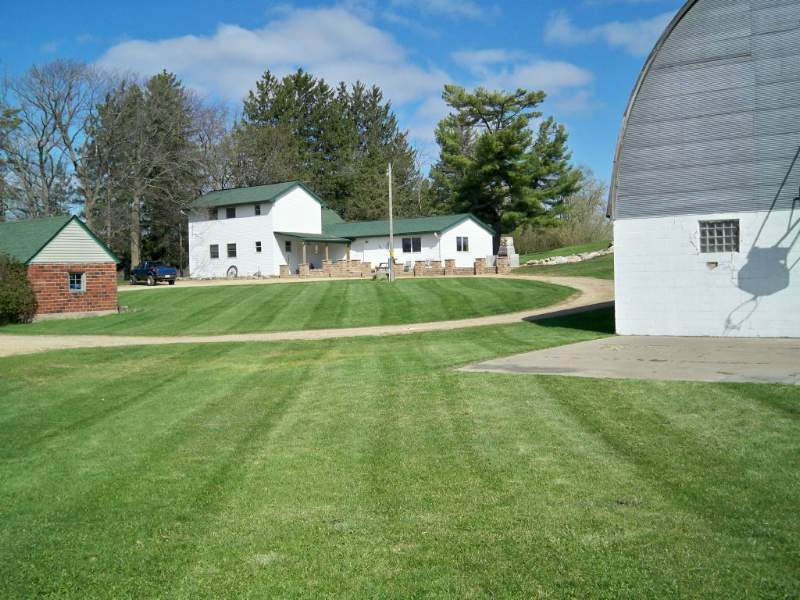 7.6 Acres just minutes from Dresser, WI. Gorgeous gardens, two story wall of windows with great views of the mature oaks and maples. Kitchen has large granite island, convection ovens, custom cabinets. Both a screen porch and decks. 1 ACRE lot with Amazing River Views right from your front porch plus fantastic sunsets. This beautiful, architecturally designed home has lots of fun features like the tower look-out, etc. The oversized 2 car garage has a bonus room upstairs for the shop enthusiast. This is a really neat property located just minutes south of the cute town of Prescott. Recently remodeled with a NEW KITCHEN, newer windows, deck and porch, finished lower level. 1,496 finished sq.ft. with 3 bedrooms and 2 baths. The back yard is fenced and this is all within walking distance of parks, schools, restaurants, and shopping. 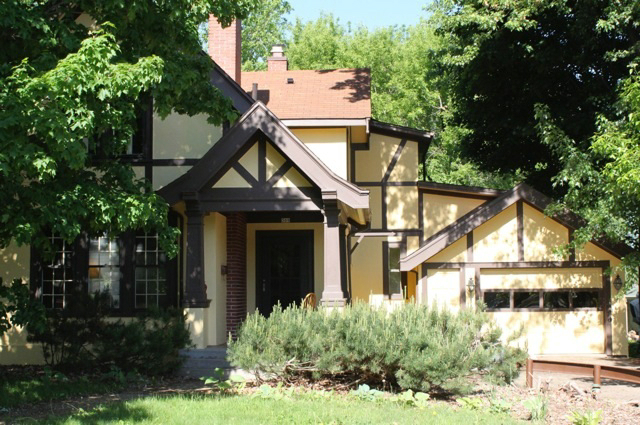 Lovingly restored vintage charmer in the heart of Lowry Hill. Amazing details, fantastic floor plan and many updates throughout. Main floor extras include a sunroom and exquisite family room, built-ins, informal and formal dining, mudroom area and powder room. 2nd floor boasts abundant owner's suite, bedroom with sunroom or playroom, laundry room and fun 3rd floor space for office or play. 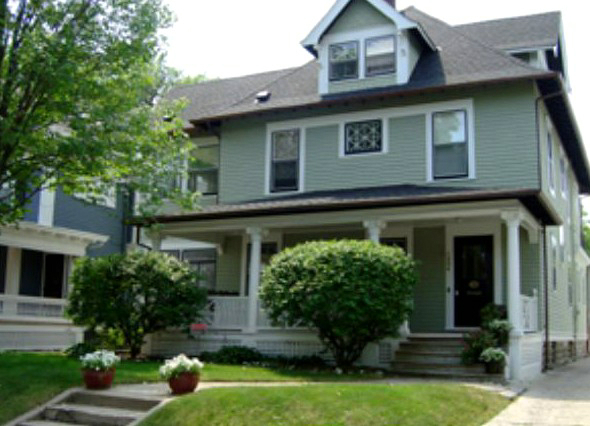 Updated mechanicals, gorgeous stained glass, vintage hardware, fabulous porches and back deck! GREAT INVESTMENT OPPORTUNITY - WEEKLY RENTAL. $350 a nite, $500 a nite on Holidays. Have Rental License. 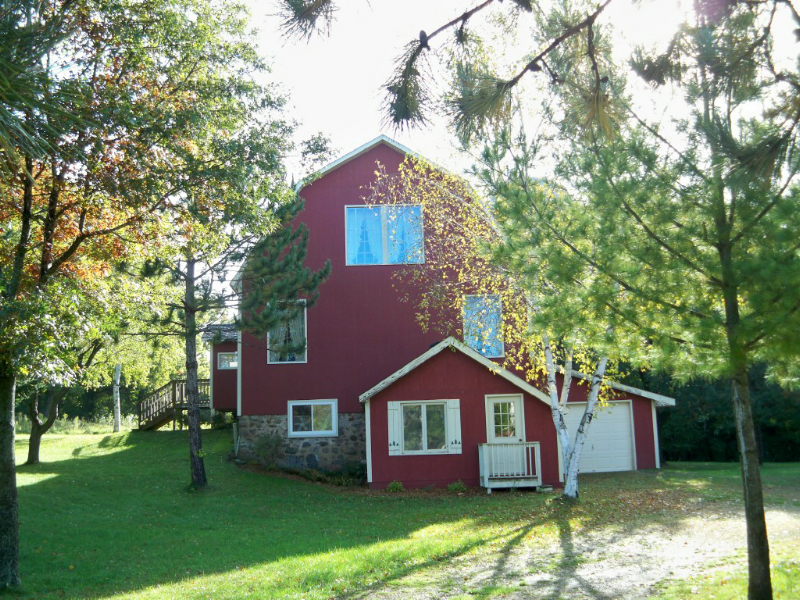 RARE 145' frontage, almost level lot on 1665ac BONE LAKE. Gorgeous west facing with sandy swimming. Over 3,300 finished sq.ft. year round home gives you plenty of space for overnight guests. This beautiful home is being sold with most furnishings, including 80ft long dock w/deck at end. AMAZING HORSE PROPERTY and it is so beautiful. 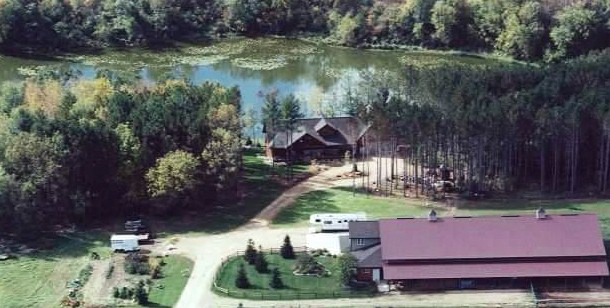 Large Indoor Riding Arena with 37 ACRES and the home overlooks a large pond. If feels like a lodge in the mountains yet only a little over an hour drive to Mpls. 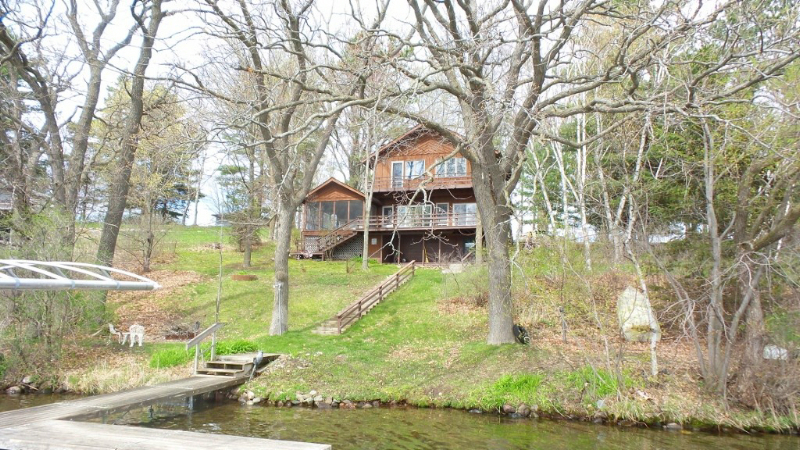 151' ON PREMIER DEER LAKE, very private at the end of a dead end road Gorgeous sandy swimming. Extensive remodeling and an upper level was added in 1991. Most furnishings and a dock system are included. I really like this property and it's only a 1 hr drive. 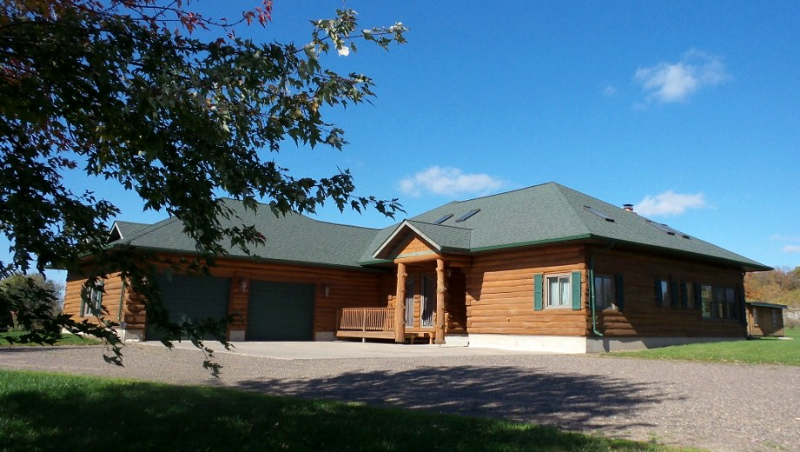 Absolutely amazing property with 187 acres and approx. 5,100 ft of lake frontage on WILD GOOSE LAKE just south of Balsam Lake, WI. This very private property has so much potential whether you wanted to create a hunting lodge, campground, horse ranch or ? Only 1 hr commute or use as a weekend retreat. 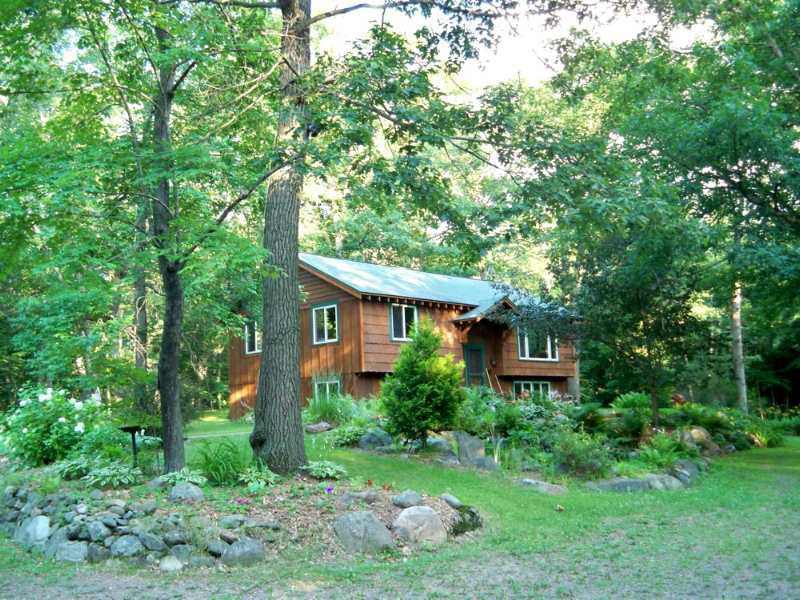 SECLUDED SETTING surrounded by woods & mature trees, just minutes from downtown River Falls the college. Updated home on 1+ acre lot includes multi-decks, perennial landscaping, a fenced vegetable garden & fruit trees. Extensive interior updates include new flooring throughout, new master bath with ceramic tile & walk-in shower. 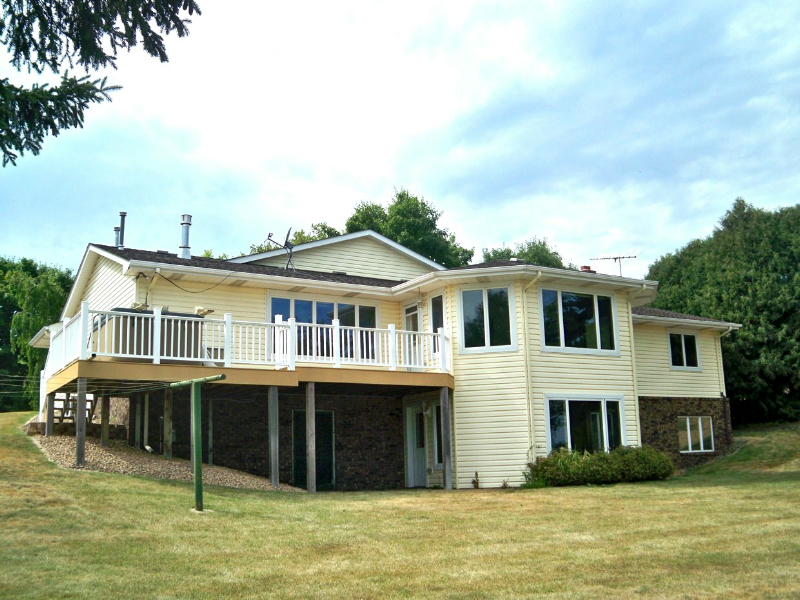 Property is perfect for entertaining & enjoying the outdoors with easy access to the Twin Cities. Most furnishings may be included. PRICED TO SELL !!! Was appraised at $370,O00 but Estate wants sold! Needs a little TLC, but the price reflects that. 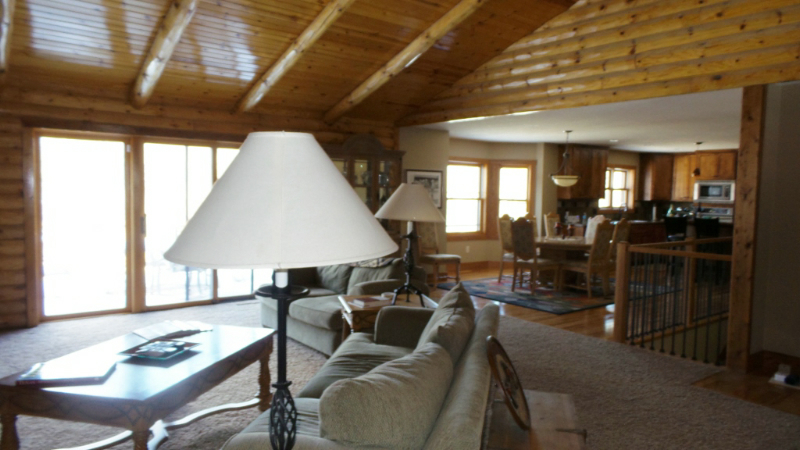 LOG HOME & 5.01 ACRE built in 2004 with a very open plan, vaulted ceilings, and a lot of unique features. RARE OPPORTUNITY to get 2.28 Wooded Acres this close to everything. With the wildlife & trails it feels like your own private park! 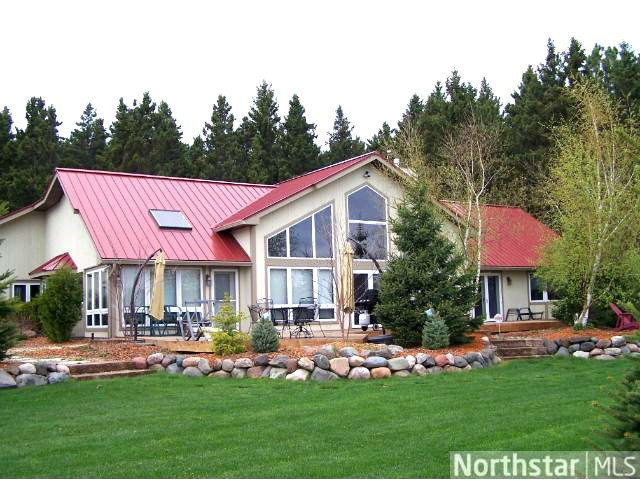 This fabulous, large, open rambler is very energy efficient with its passive solar design. Two separate decks give you great space for entertaining or gather around a campfire in the evening. 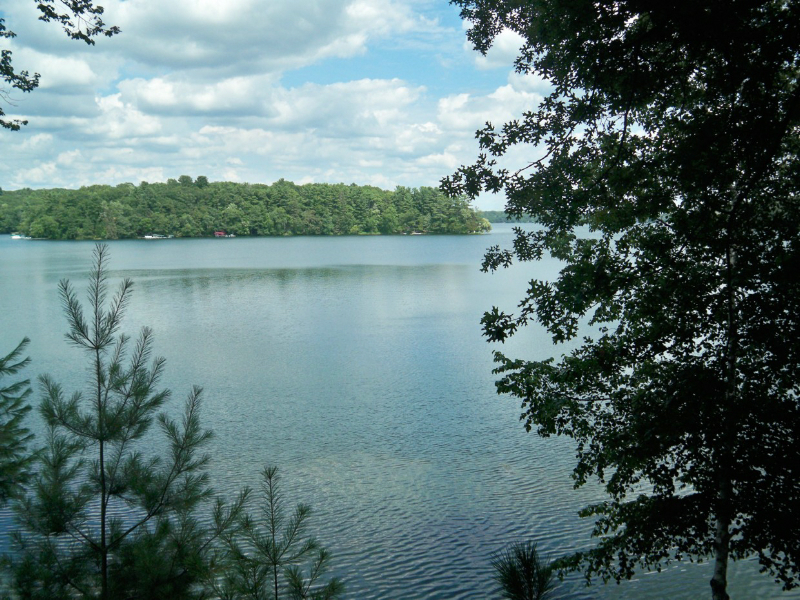 100' frontage on SAND LAKE Crystal clear sandy bottom - one of the clearest lakes in Polk County. 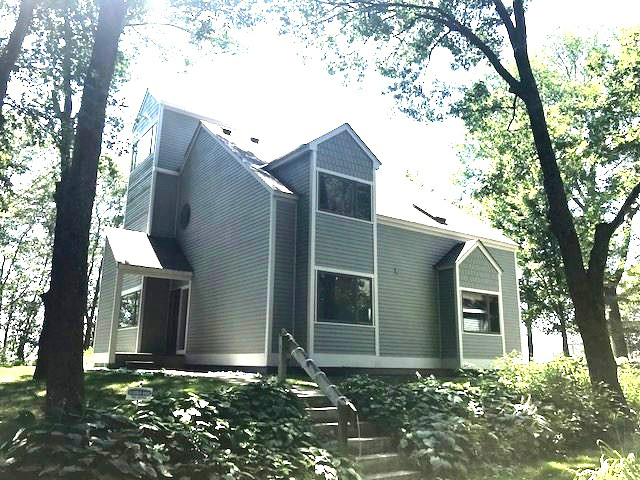 This year round lake home has an oversized double garage with a fabulous bonus room above. It's a great for entertaining or spend your time on the large 38 x 12 deck. 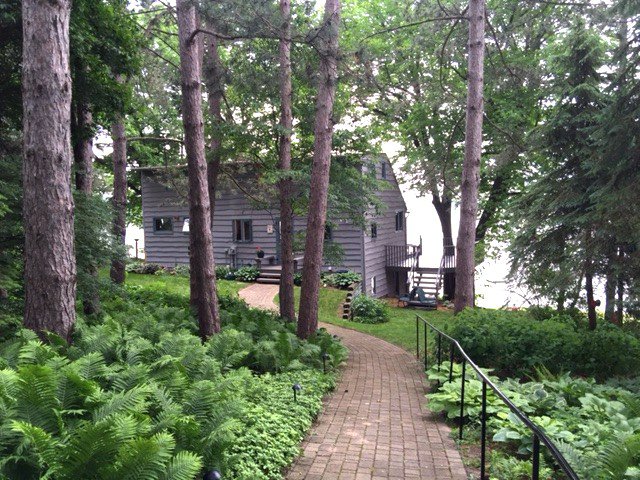 100' and 1 ACRE on Prestigious DEER LAKE, 4 car oversized garage fits large boat. Adorable 3 season cabin. Priced for lot, backlot & garage. only 30 minutes to Stillwater. 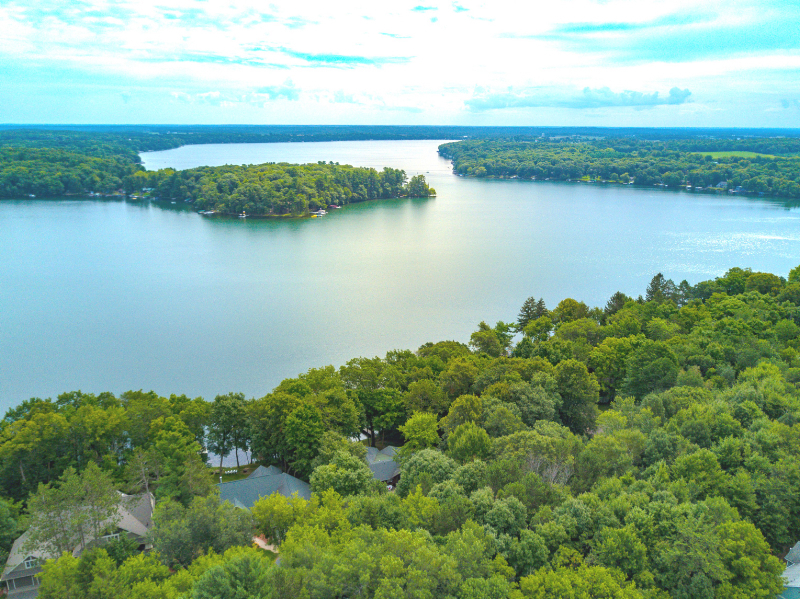 100' on Prestigious DEER LAKE with level lot, sandy fabulous swimming, and some of the most gorgeous sunsets on the lake. 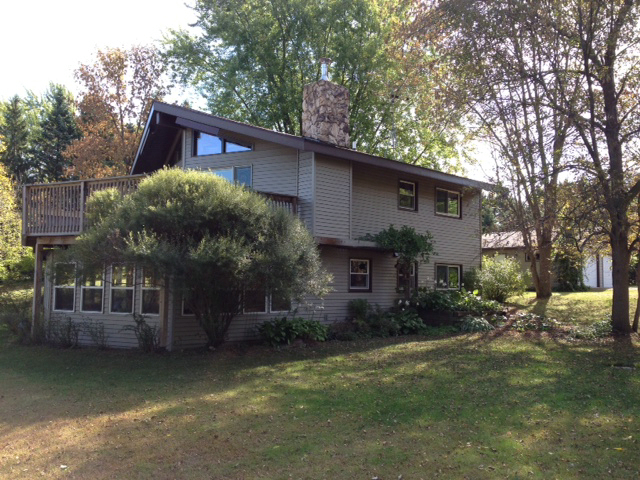 2,214 sq.ft, walkout, two fireplaces, kitchen is open to the LR and DR with great lake views. Only 30 minutes to Stillwater. 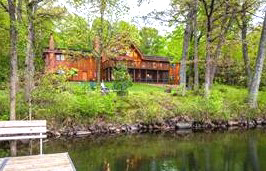 75' on peaceful Long Lake "your Northwoods retreat". NEW DRIVEWAY & UPPER PARKING installed. Built in 2004 there is 1,940 sq.ft. with 3br, 2ba, and very open plan, FP, hardwood floors, walkout, year round home. Great lake views. This is a really nice place located north of Turtle , WI. Prestigious DEER LAKE with great sandy, clear swimming. Home built in 2000 and has 2,484 fin.sq.ft., large deck, fabulous open space with great lakeviews, FP, finished lower level walkout. Easy commuting distance. Only 30 minutes to Stillwater. 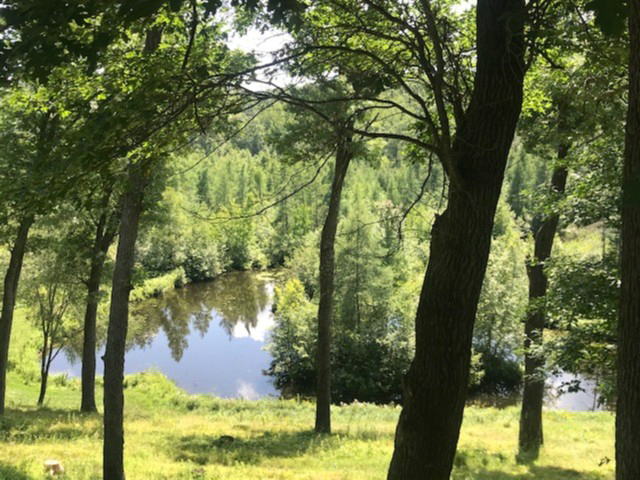 40 WOODED ACRES with ponds, rolling, and beautiful building site. ADDITIONAL ACREAGE available - up to 187 acres. Open builder. Just south of Balsam Lake, WI. I LOVE VIOLA LAKE - it's very clean and hard sandy bottom for fabulous swimming and watersports. This is the kind of lake you just want to dive in on a hot summer day. This lakehome has 3,620 fin.sq.ft making it great for entertaining. 2 stone FP's, hdwd floors, large deck, sunroom, patio & more. 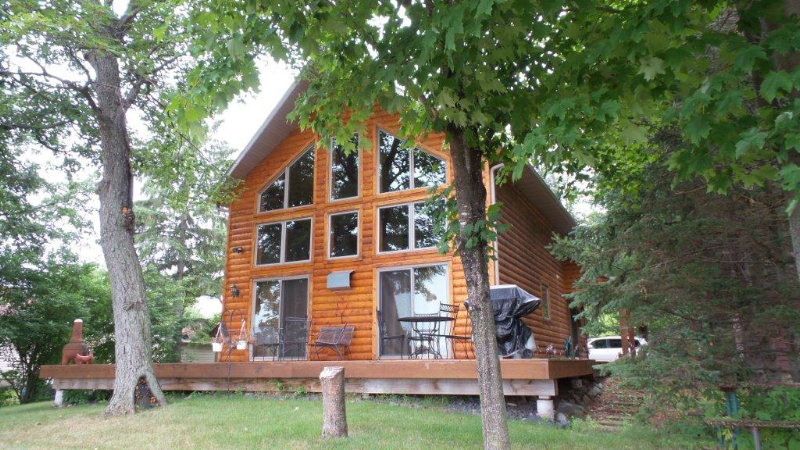 100' frontage on PREMIER DEER LAKE! Gorgeous wooded lot facing west for incredible sunsets. This would be a lakeside walkout and is open to any builder. 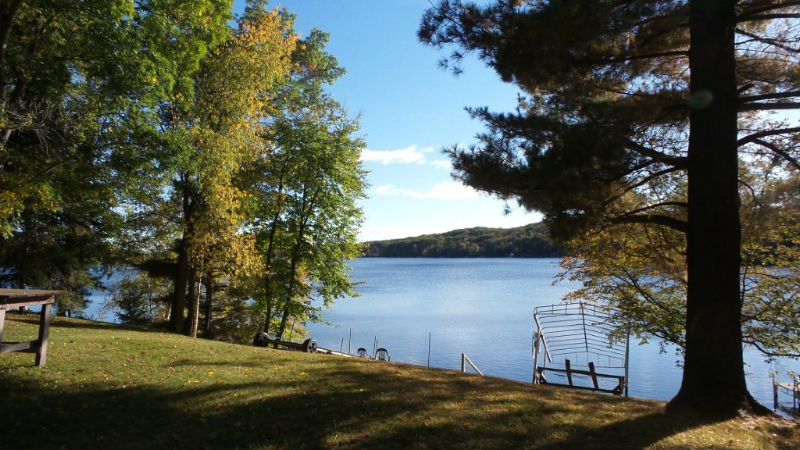 Deer Lake is great swimming, fishing, and waterskiing. It is one of the cleanest lakes in Polk County and is only a 1 hr drive to the cities. 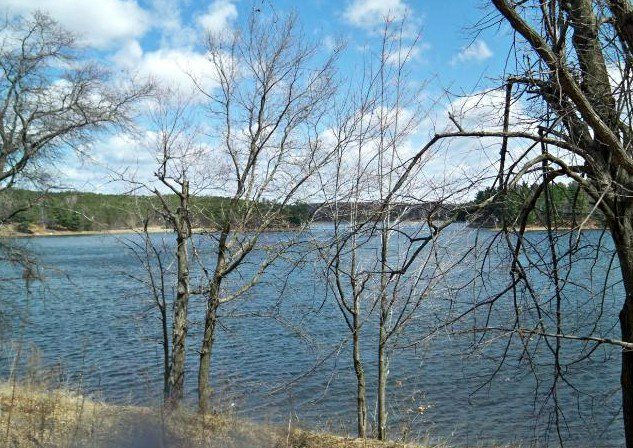 1.55 ACRE lot right in the town of Balsam Lake! VERY PRIVATE earth sheltered home. Feels like living in the country because this lot is surrounded by a lot of wooded green space. If you love gardening you will enjoy the 40 x 20 solarium. This is a very unique property. 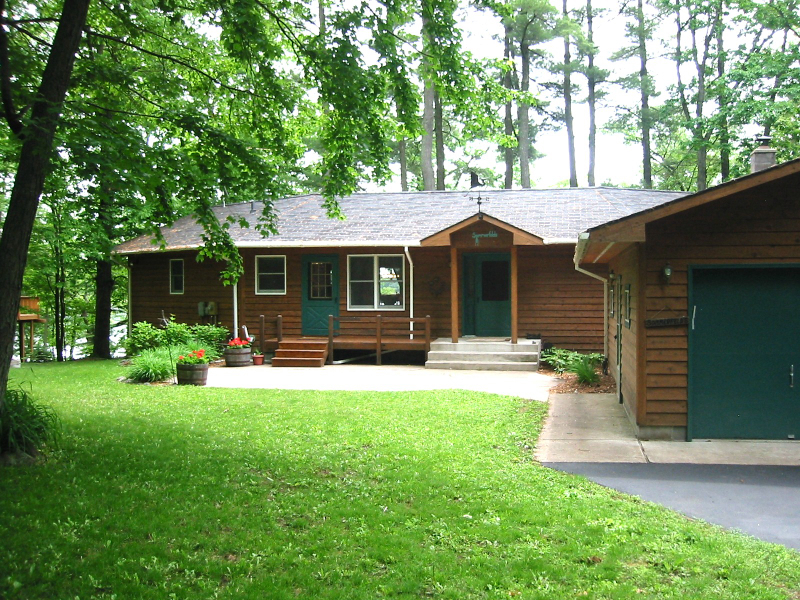 Premier DEER LAKE Home built in 2007. Fabulous open space with open kitchen, great lakeviews, finished lower level walkout. Easy commuting distance. $50,000 less than original price. Gorgeous home next to Troy Bryne golf coarse. 4bedroom, 3bath, 4,464 fin.sq.ft, VERY open plan is great for entertaining! 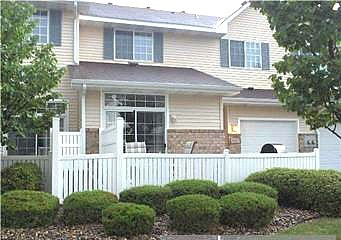 Walkout lower level has a home theater, large family room with 2nd FP, and a great bar area. 115' on BIG LAKE. SELLERS ARE MAKING THIS INTO A YEAR ROUND HOME rather than a three season! 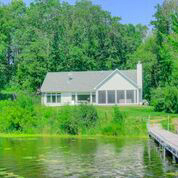 Built in 1982 this cute lakehome is almost at the end of the deadend road. There is a very gradual slope to the lake and the lake is a small, quiet lake. 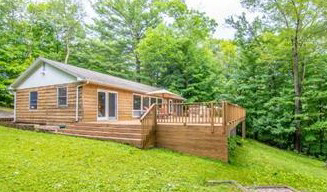 10 beautiful acres, partly wooded, 4 bedroom, 3 bath, custom built walkout rambler, main floor laundry, large deck, screen porch, fabulous landscaping and gardens. This is a really nice property for the money. Only 30 miles to Stillwater. RIVER FALLS - Love Nature and Kayaking ? Live right across from Glen Park. Completely, and beautifully remodeled 4 bedroom rambler with new kitchen, new stainless appliances, fabulous outdoor patio kitchen, hardwood and tile floors, finished lower level and more. 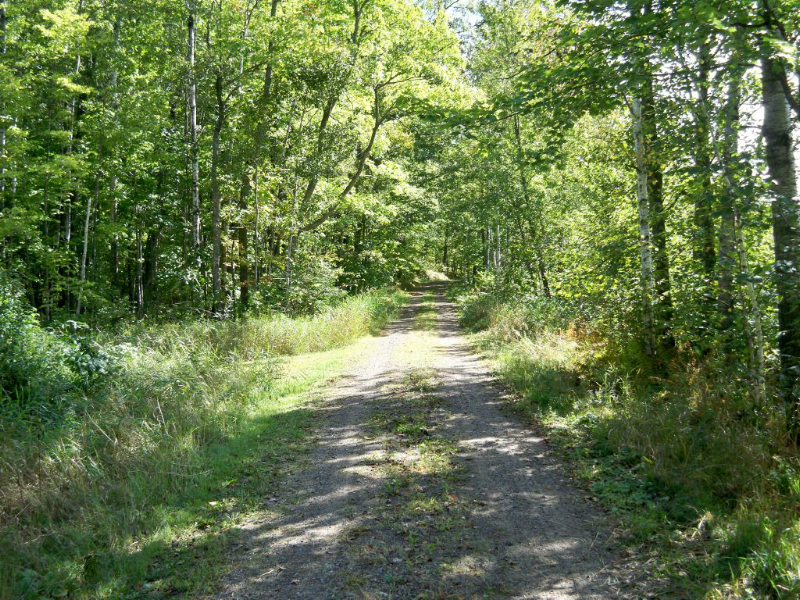 10 WOODED ACRES with new driveway, only 3 miles east of Siren, WI. Great hunting, build your dream home, or build a pole building to store your boats and toys. 400' on VINCENT LAKE and 1.3 AC beautiful, wooded lot. This is a darling property - feels like camping. Includes furnishings, a canoe, and a small sailboat. What an inexpensive getaway, approximately 1 1/2 hr. drive. 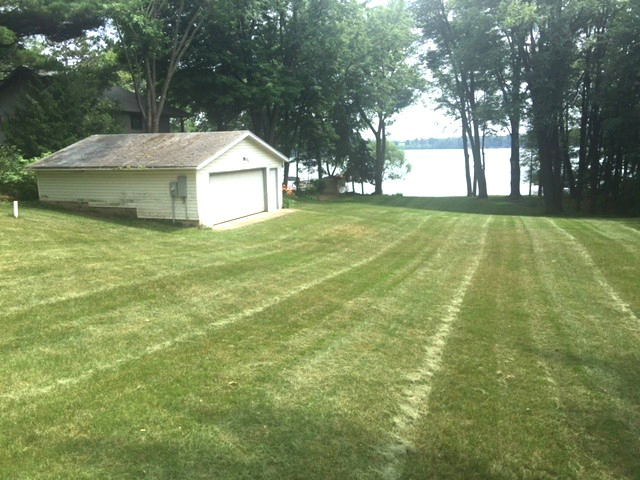 136' of frontage on WHITE ASH LAKE. 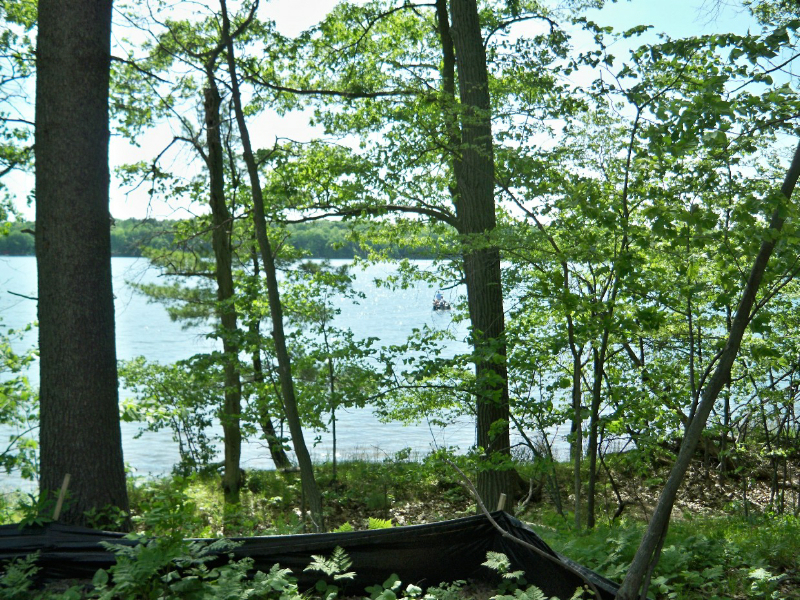 Great lakeside walkout lot next door to newer lakehome, partly wooded, open builder. Build your dream cabin, only 1hr 15min drive. This 5 ACRE building site has a 30 x 40 pole building with a 10 x 12 insulated garage door, concrete floor, with lights and receptables already wired. Great for horses. Build your dream hobby farm today. 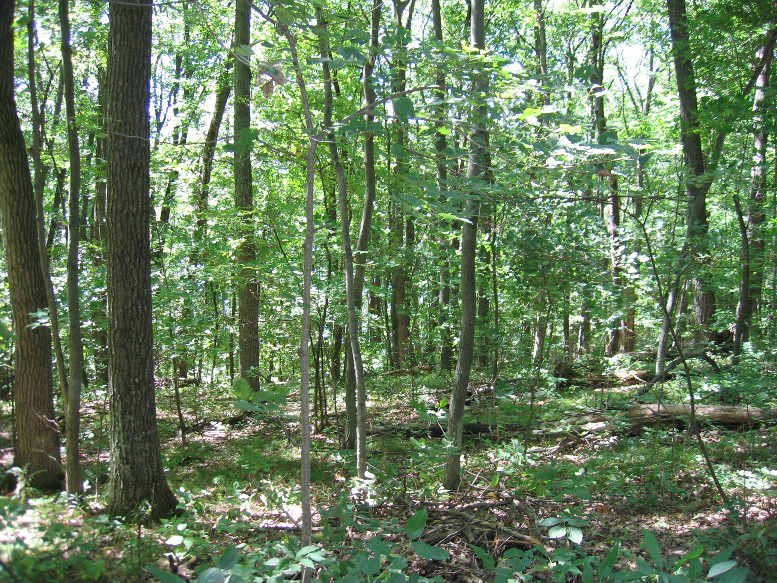 I really like this property - it is beautifully wooded 19.75 acre parcel and VERY PRIVATE. Great area for horses. Built in 2004, also has new stainless steel appliances, new carpet, and paint, Lower level could be finished for over 3,000 fin.sq.ft. This has a very open design so it is a great house for entertaining. 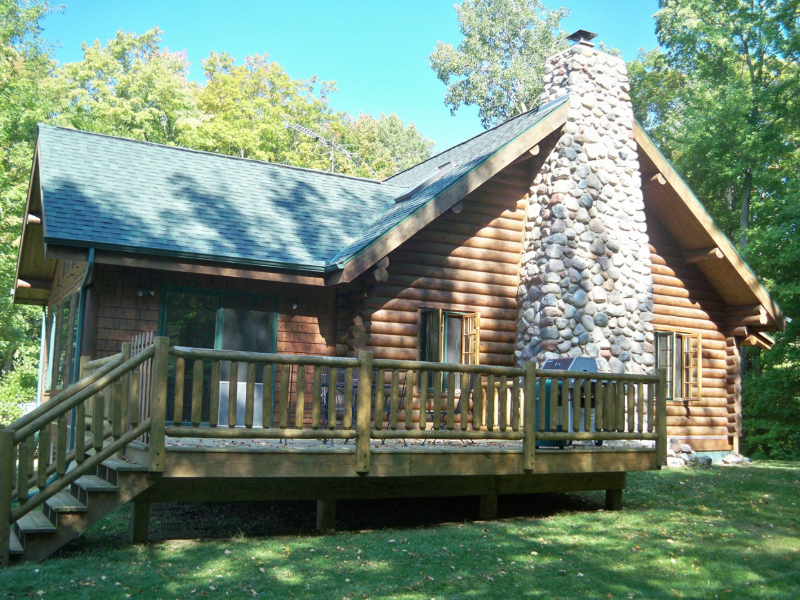 97' WILD GOOSE LAKE, sand bottom, level lot, and adorable log-sided cabin. Open plan, silestone counters, hardwood floors, built in 1991 with a 2 car garage. Great landscaping. Only 1 hr 15 min to Mpls. 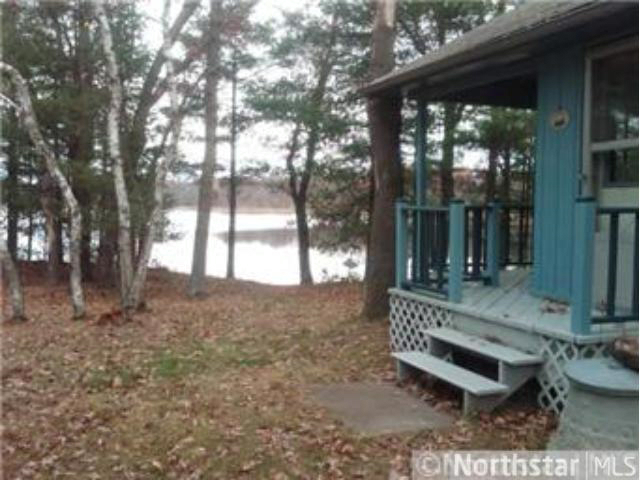 91' LAKE WAPOGASSET with cozy cabin on a great buildable lot with a fabulous view! Sellers planned to build a new home here for retirement. Commuting distance to the cities. 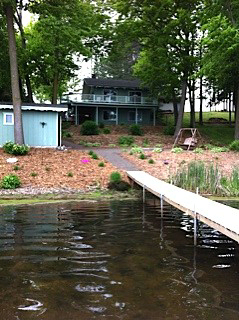 Newer 2 bedroom, 2 bath lake home on crystal clear SAND LAKE - with beautiful sand bottom for great swimming. All this within commuting distance of the cities and only a few miles away from the new Winery. Why commute to the lake when you can live here. 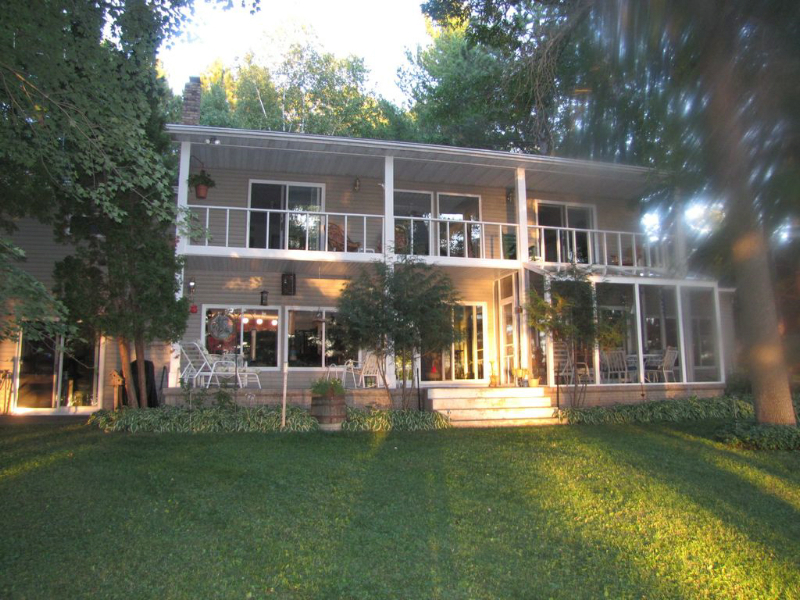 50' frontage on NORTH TWIN LAKE plus right in town for convenience of city sewer and water. Beautiful woodwork thru-out with built-in china hutch, French doors, hardwood floors, 4 bedrooms on one level, sunroom, office, and more. 2nd garage allows you to store the boat, or other toys. Amery has a newer Medical Center & clinic, an 18-hole golf coarse, an airport & more. Absolutely fabulous newer lake home at an incredible price. You can't build this today for this price. 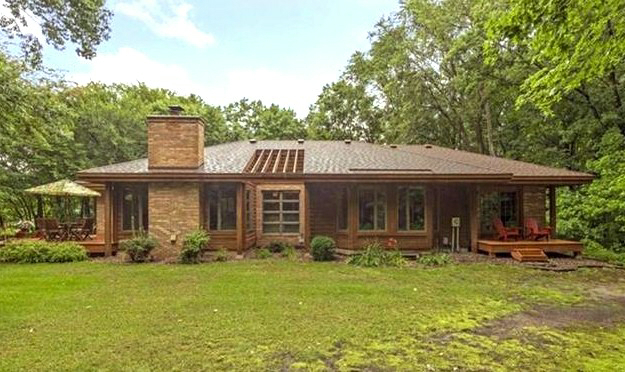 Beautifully decorated with wood and tile floors, 3,758 fin. sq. ft., finished walkout level, upper loft, oversized garage with workshop area, landscaped yard, 100' frontage. 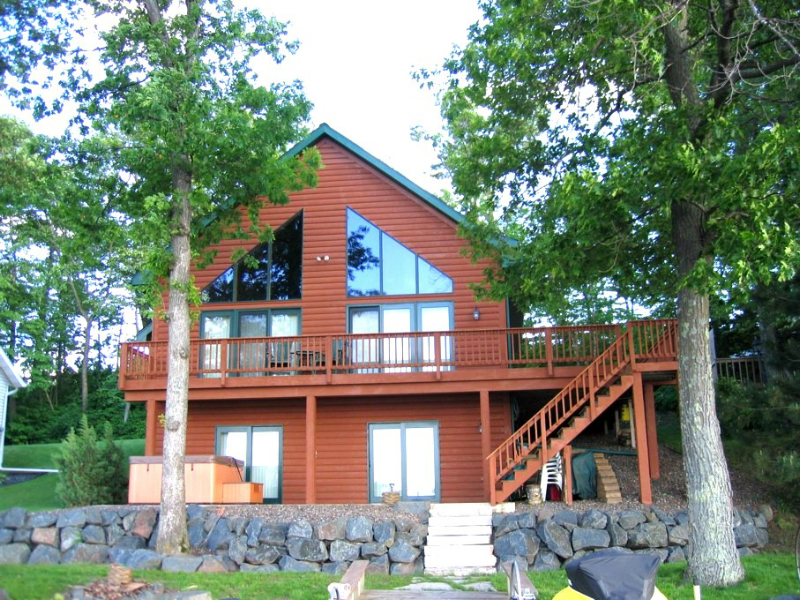 This is a lake home you will want to live in year round. This is a great investment - the land alone is worth $699,900. AMAZING ESTATE with 312' of PRIME level frontage and 3.33 acres on 1700 acre BONE LAKE. 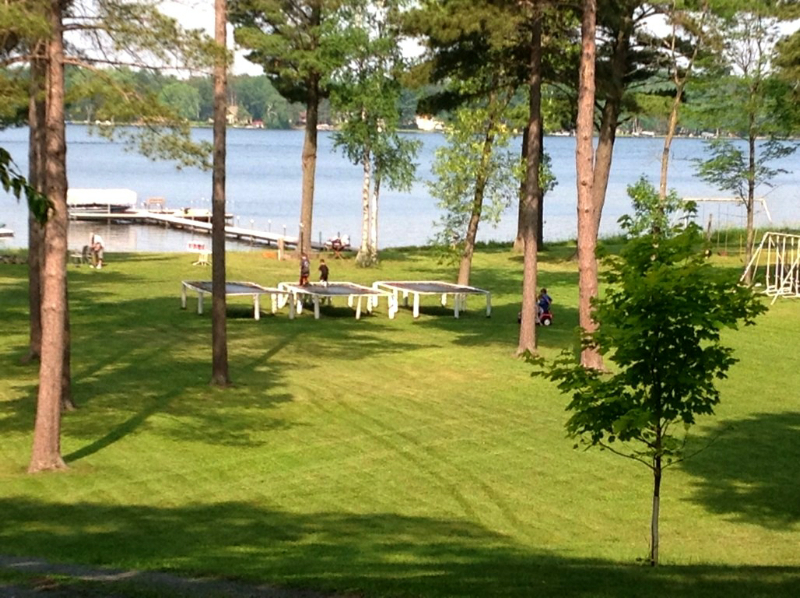 One of the largest lots on the lake but COULD BE DIVIDED. Appraised at $1,195,000. 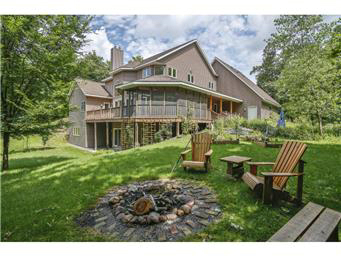 Over 6,000 fin.sq.ft home, 6 bedrooms, 6 baths, 4 fireplaces, 3 full kitchens, 2 boathouses. This property is so AMAZING - it reminds me of going to camp as a kid - or an old fashioned New England resort. 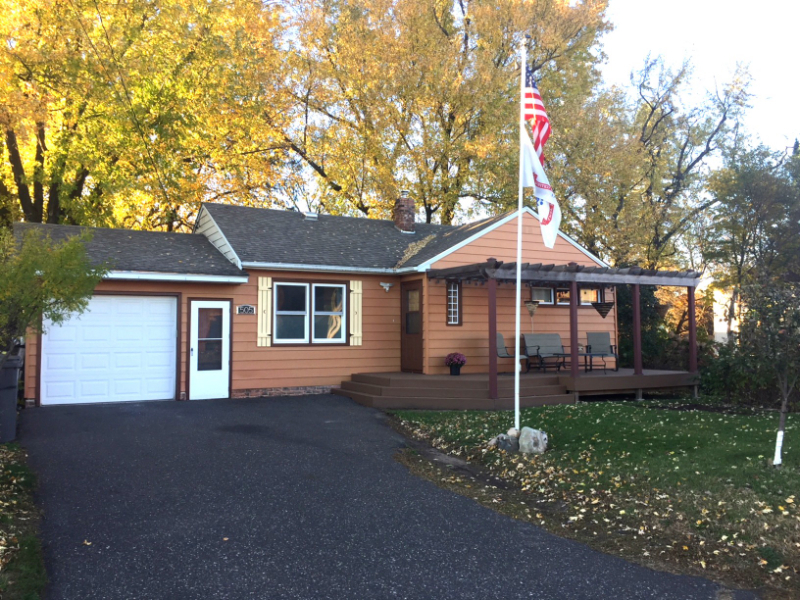 1750 W White Ash Dr.
Adorable completely remodeled cabin with a boathouse and garage, year round, totally landscaped with campfire spot, dock, asphalt driveway and more. This is really a cute place for only $159,900. 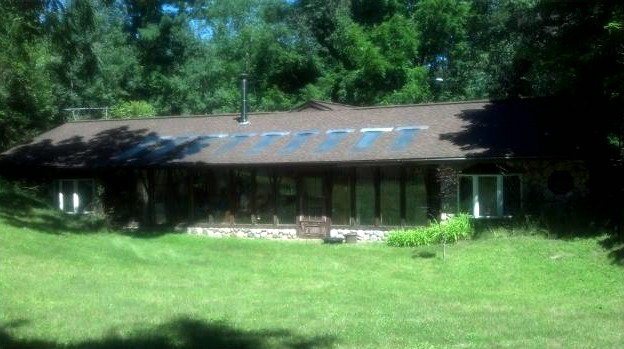 Remodeled 5br, 3ba, country home with a 30 x 52 barn rebuilt in 1984 to meet commercial codes - it's an amazing building. the lower level is a 28 x 50 woodworking shop and there is a seperate office building. The home is a walkout and the lower level has a 2nd kitchen, seperate heating and plumbing (can be duplexed). The land is beautiful. It is wooded with large oaks and a pond. 5 ACRES IS ZONED COMMERCIAL. Located approx. 1 mile south of Lake Wapogasset and only 30 miles to Stillwater. SOLD - $209,900 "REAL LOG HOME"
What a unique opportunity to own 2 lots, 1.82 acres, and 348' of frontage on North Center Lake. Look at the neighboring property to see what a sandy beach you could have! Although only 2 bedrooms, it could easily have 3 or 4 bedrooms. The 2nd garage is great for storing boats and toys. The lower walk-out level has a huge area for a workshop. Priced less than fair market value. 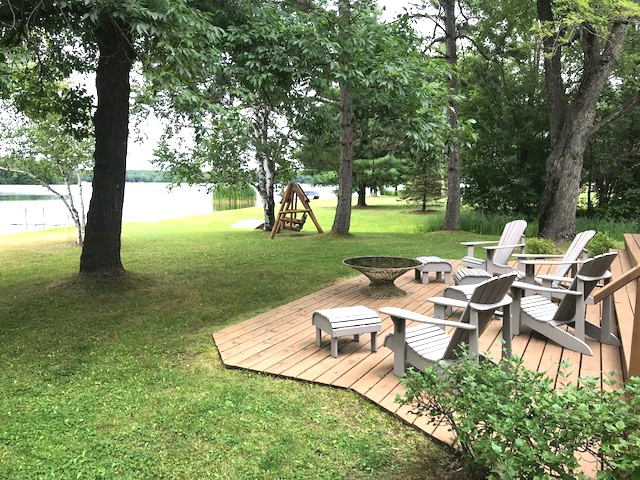 This 3 bedroom, 2 bath lakehome is on a peaceful, environmental lake with a large deck, open kitchen, woodburning FP, and a double garage. This beautiful lot is 1.38 acres with 285' of frontage. Located SW of Amery, WI it's only 30 miles to Stillwater. 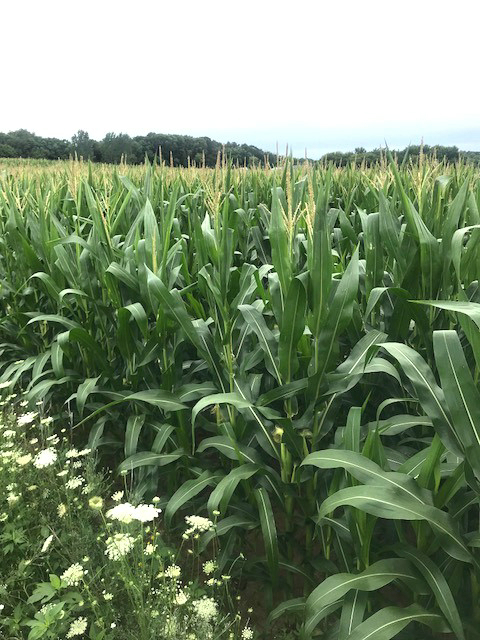 Approximately 27 tillable acres just north of Amery, WI. 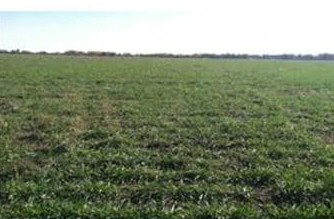 Cropland is rented for 2013 season and crops will remain with renter. Seller will survey prior to closing and price will be $3950 an acre, may be more or less than 27 acres. Soil is sandy-loam. Call or email me if you would like a copy of the FSA map. 100' Premier DEER LAKE. 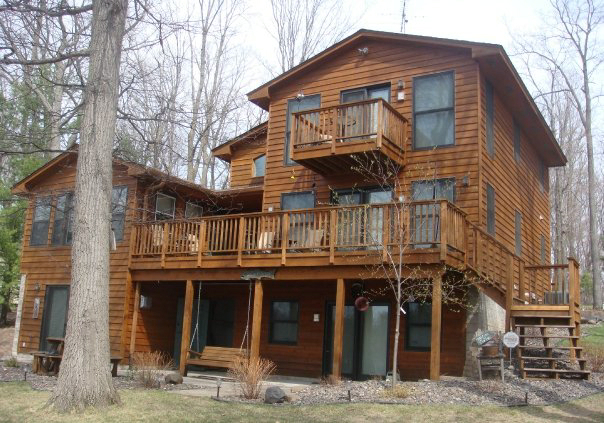 This 5 bedroom, 3 bath lake home has over 4,600 fin.sq.ft., two large decks, and a finished lower walkout level. The huge dining room is great for entertaining and has a large stone FP. It is a gradual slope to the lake, and is located on the popular north shore. Deer Lake is one of the clearest lakes in the County. 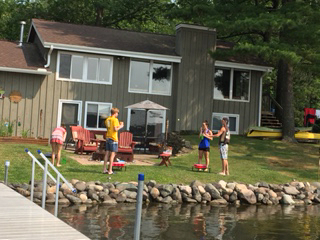 100' on beautiful LOWER PINE LAKE with its crystal clear water and sandy bottom for great swimming, waterskiing, and fishing. Watch the sunsets from your deck. I really like this property and it's so close you can run up just for the afternoon. There is also a triple garage so you can store all your toys in it. This year with the drought so many of the larger lakes were very green - not this one! It was clear and sandy for great swimming and waterskiing. The level lot is perfect whether you are sitting by a campfire watching the sunset, or getting a game of volleyball going with friends and family. How about taking your 4-wheelers out on the 27 acres or cross country ski. $299,900 is a fabulous price for this property - the tax value is $364,400. Paradise in your own backyard - gardens everywhere, Koi pond, and large patio. This updated rambler is in the high demand MOUNDSVIEW school district. Over 2,000 fin.sq. 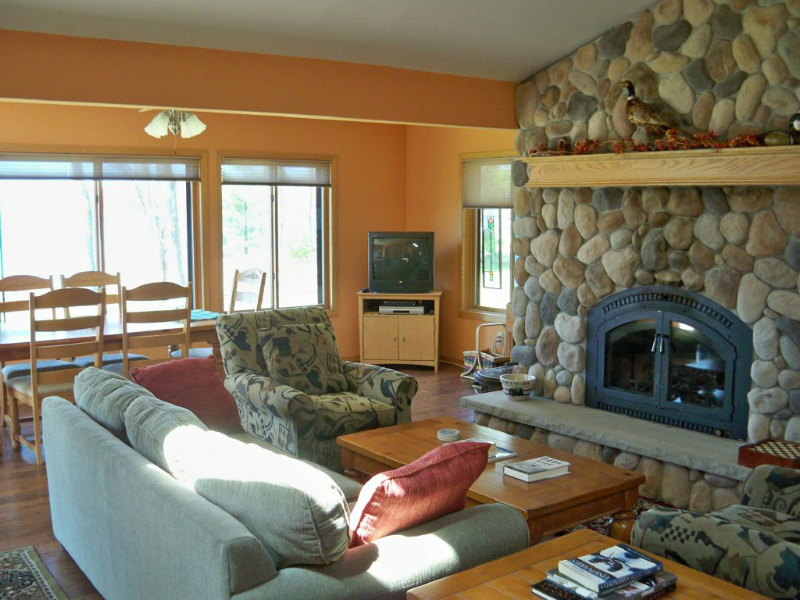 The large, lower level family room has a gas fireplace making it a very cozy room and great for entertaining. There are 3 bedrooms on the main floor, and 2 on the lower level and 3 baths. 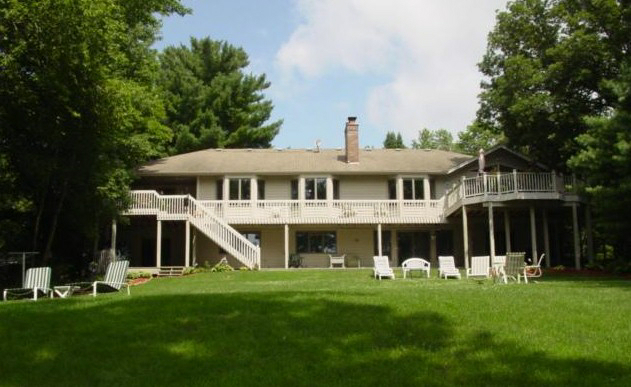 Absolutely gorgeous lake home on one of my favorite lakes, Silver Lake by Cumberland. Built in 1996 with 3,621 fin.sq.ft, 2 FP's, huge main br. suite, large dream, open kitchen, most furnishings included. 80 ACRES, 50ac. tillable with a "real" barn, lg. pole bldg. 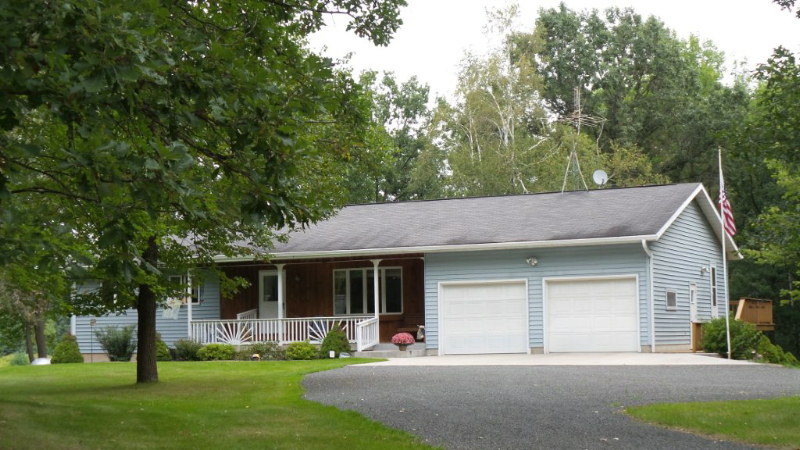 with a heated shop, completely remodeled country home with a new addition that gives you over 4,000 fin.sq.ft. New patio now under construction with a future FP and lanterns. Fenced for horses. 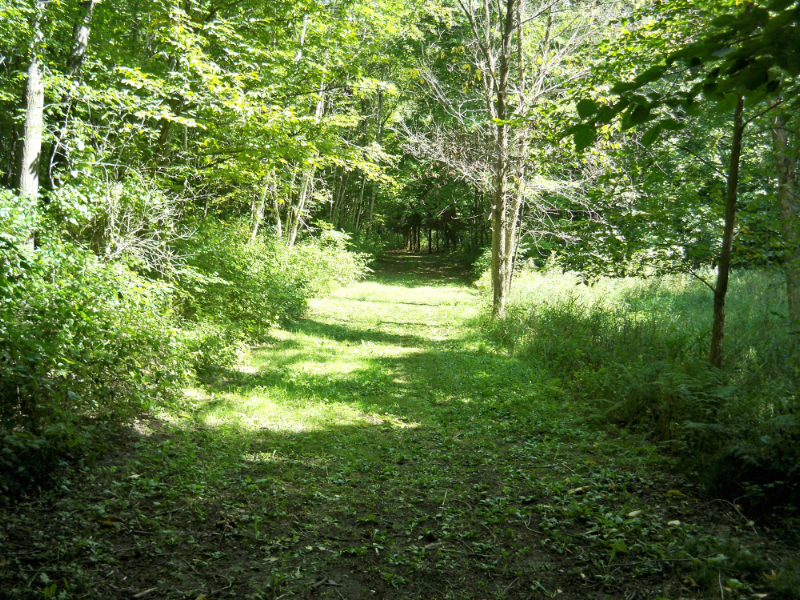 Property adjoins DNR land giving you lots of acres for hunting. Only 30 miles to Stillwater, MN. 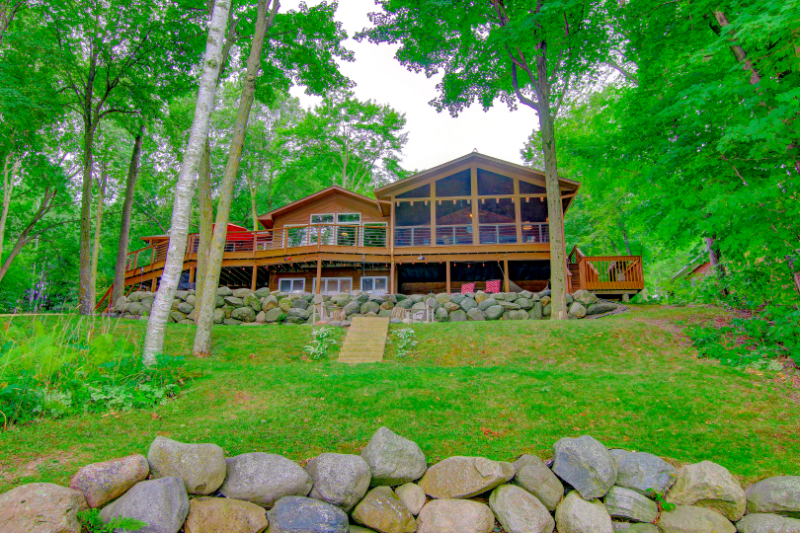 100' on Premier Balsam Lake and 1.78 acres! 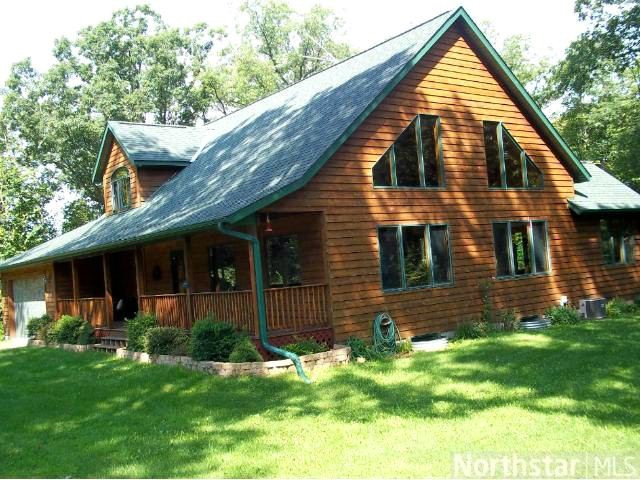 This is a great lake home with all the amenities, yet it still feels "Northwoods". Beautiful custom cabinets, granite counters, your own sauna, two fire places and more. 3 bedrooms, an office (or non-conforming 4th bedroom), and 3 baths will give you plenty of room for friends and family. You'll find yourself spending a lot of time out on the 40 ft. deck. There is extensive landscaping planted with perennials for easy upkeep. Already set-up for Horses with stalls, fenced pasture and a real barn! This home has 2,560 fin. 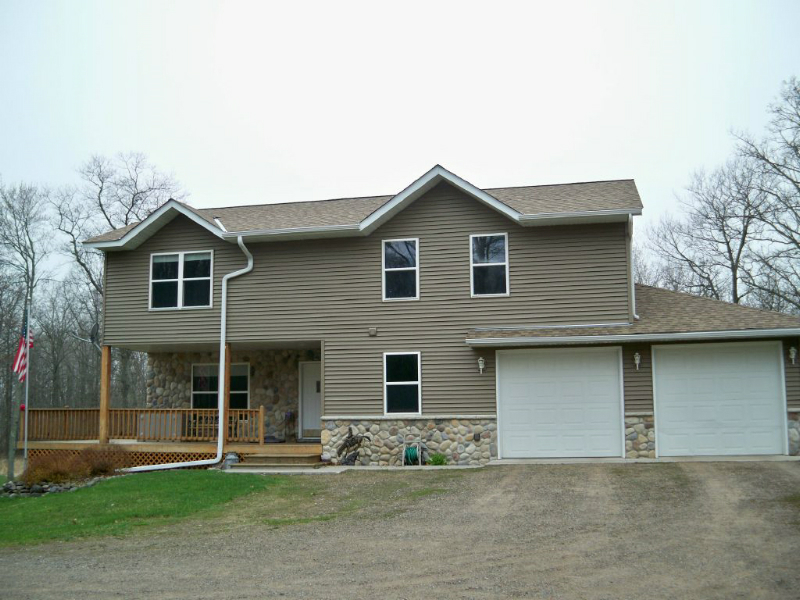 sq.ft of totally remodeled hobby farm with a new addition and finished lower level. The quality of the workmanship is very good and it's well decorated. Very PRIVATE as you wind back on a long driveway. Located just north of Deer Park, WI makes for an easy commute. I really like this property! 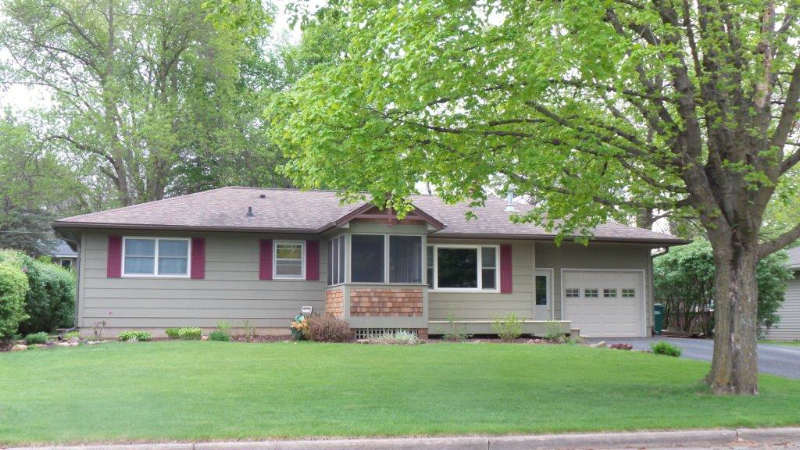 1330 W Royal Oaks Dr.
Rare Rambler in Shoreview's high demand Royal Oaks West. Very open floor plan with vaulted ceilings, maple hardwood floors, 4 season porch, main floor master with two walk-in closets and whirlpool and seperate shower in the master bath. The large lower level family room has a gas FP, 2 bedrooms with two baths, triple garage with full storage above. Great landscaping. 103' LAKE MAGNOR - Best of both worlds. 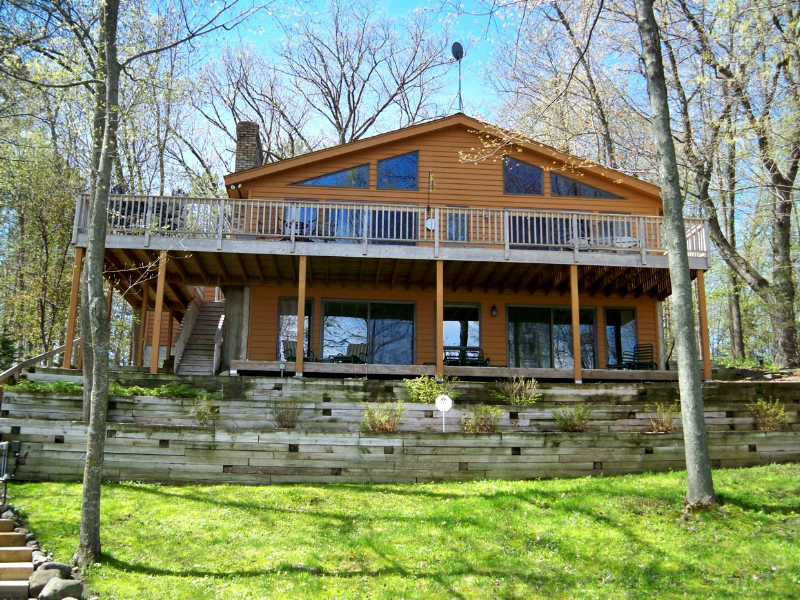 Fabulous custom built home loaded with amenities and a lakehome within commuting distance. Enjoy gorgeous sunsets, a heated workshop, boathouse, sunroom, large open kitchen, hardwood floors, imported tiles, oversized 3-car garage with an elevator, and a hobby room. You must see to truly appreciate this beautiful home. 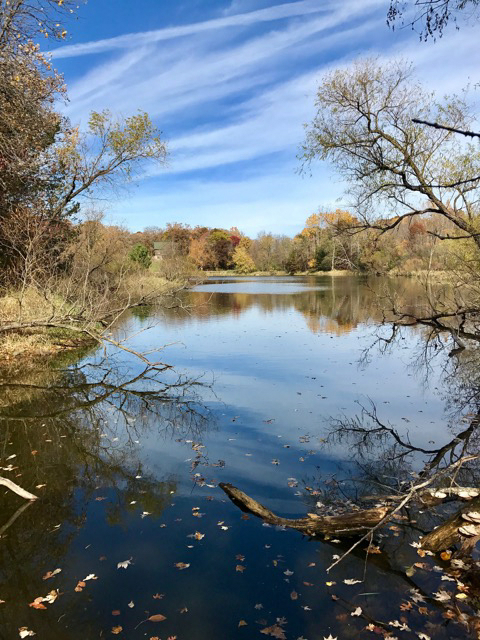 Lake Magnor is 231 acres and is fully recreational. 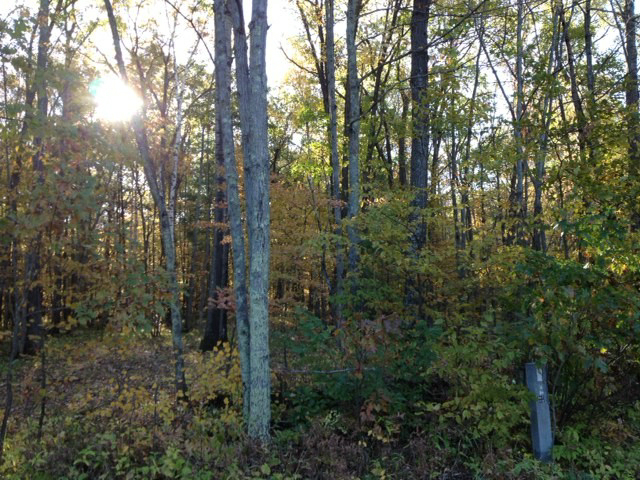 Beautiful wooded, park-like lot with 3.4 acres SW of Amery, WI. This extensively remodeled home has 3+ bedrooms, 2 baths, a screen porch and deck. The owner is in the process of finishing the lower level - the new carpet was just installed and the trim will be finished prior to closing. The landscaping is great and includes a small pond/waterfall. There is a large 47' x 27' workshop that's insulated and heated with a 12 x 8 office attached. Only 30 miles to Stillwater, MN. 200' on SILVER LAKE - 99% sand bottom and very clear. 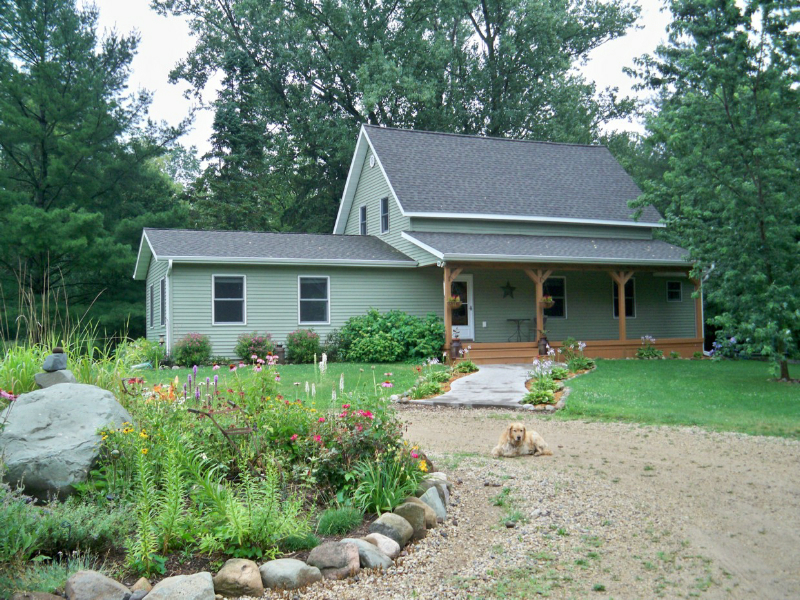 This adorable 3-season cottage sits on two 100' lots (2 PID's). Great sunset views, no public access and a private dead end road! 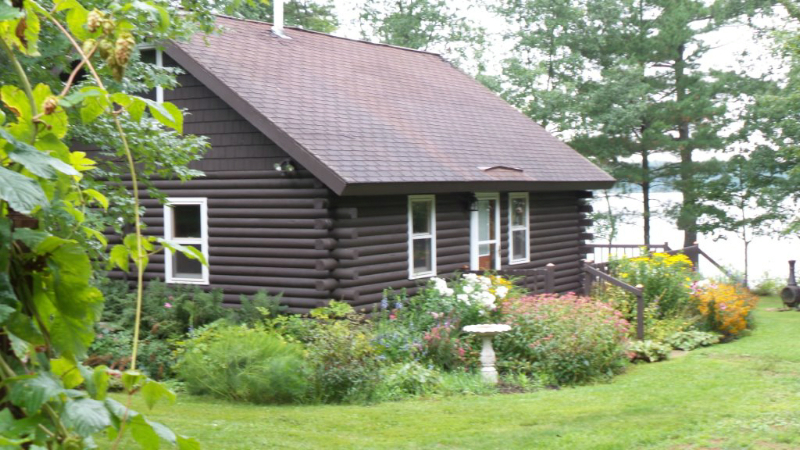 Enjoy as is or build your "Northwoods" cabin new? 3 miles east of Siren, WI. Almost 1 acre lot with access to Lake Wapogasset. New construction but needs finishing. Vaulted ceilings, 2 car attached garage and 30 x 40 detached garage, exposed aggregate drive with heated slab in front. 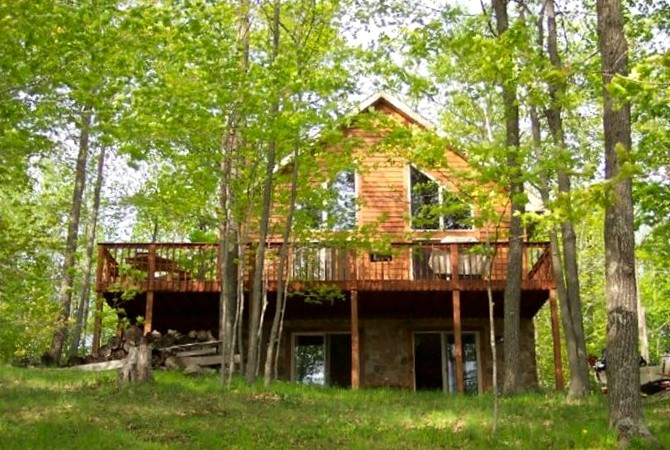 Large 30 foot deck to relax on and watch the wildlife. Only 35 miles to Stillwater. 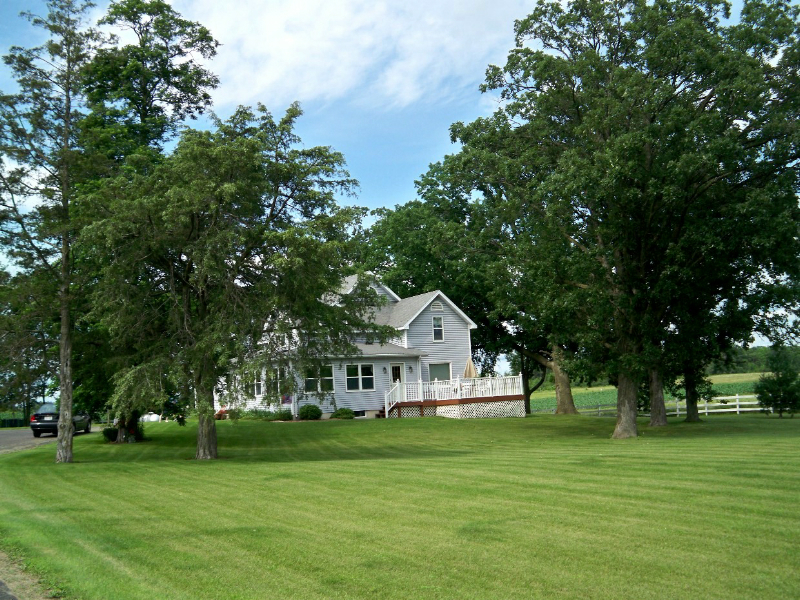 40 PRIVATE ACRES - What a beautiful piece of property this is! 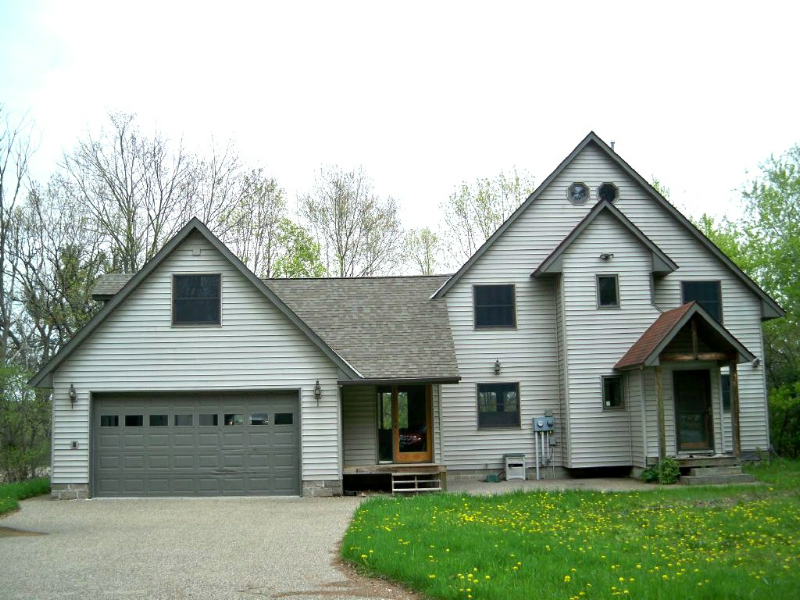 The acreage is wooded with a newer custom built home. The area around the home is park-like. With hardwood floors, vaulted ceiling, and an open plan - this is the home you dreamed of. It is located within 15 min. of 4 major lakes. 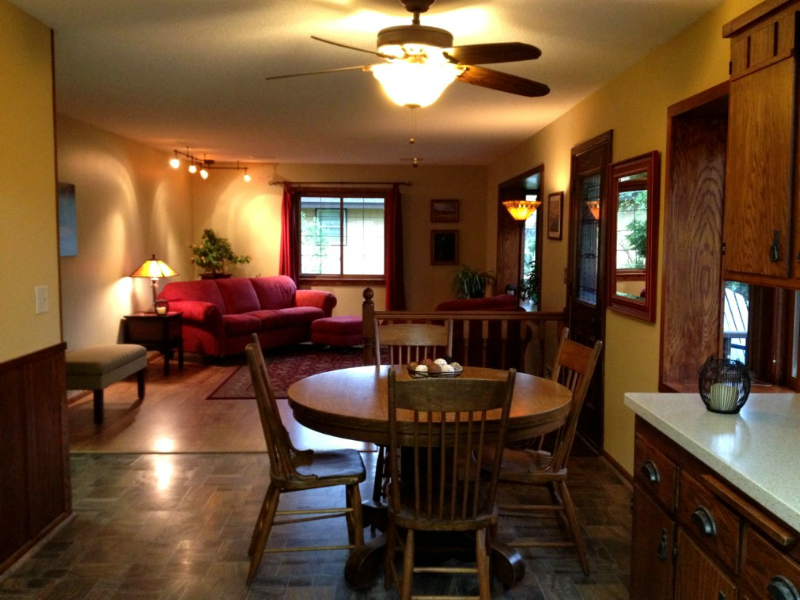 The large kitchen has lots of cabinets and overlooks the living room and large deck. 18 Acres REDUCED to only $250,000. This home was totally rebuilt in 1992, including a new full basement put under it. 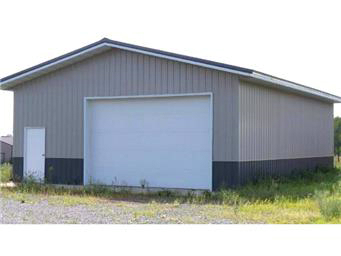 There is a 36 x 60 pole building a 36 x 24 heated, insulated garage, and an asphalt driveway. It is partly fenced for horses and there is invisable fencing for your dogs. 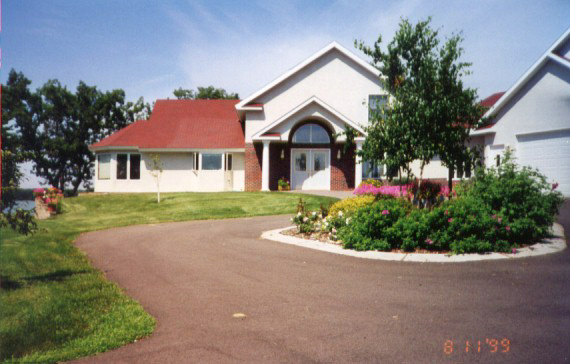 In 1992 almost everything was new; mechanicals, windows, foundation, roof, siding, and more.